NC Legislative Representative Dr. Gregory F. Murphy will be keynote speaker April 11. The Saving Lives Task Force is hosting a series of Town Hall meetings for the third year. The first of these meetings is scheduled for April 11, 2019 from 5:00 pm until 8:00 pm at the Dare County Administrative Building in Manteo. This Town Hall meeting will feature a presentation on the Opioid Epidemic from North Carolina Legislative Representative, Dr. Gregory F. Murphy. Dr. Murphy has practiced at Eastern Urological Associates and Vidant Medical Center in Greenville for 25 years. 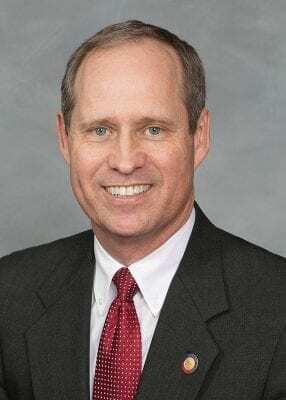 Serving his first full term in the NC General Assembly, he is presently Senior Chair of the Committee on Health Policy and Senior Chair of the Committee of Health and Human Services Appropriations. Murphy is a co-chair for the Task Force on Sentencing Reform for Opioid Drug Convictions. Additionally, Murphy was the Head Sponsor and author of the STOP ACT, NC’s main legislation targeting the Opioid Epidemic. This legislation has been a blueprint for many other states to combat their own Opioid problems. The evening will begin at 5:00 pm with heavy hors d’oeuvres in Room 168. At 6:00 pm Representative Dr. Gregory F. Murphy will present on the Opioid Epidemic in North Carolina and what the legislature is doing to address the concerns. The event is presented by The Saving Lives Task Force and Dare County Department of Health and Human Services. Information about substance abuse resources and services in Dare County will also be available during the event. For more information regarding this event or The Saving Lives Task Force, please contact Roxana Ballinger, Saving Lives Task Force Co-Chair with the Dare County Department of Health & Human Services at 252.475.5619 or roxana.ballinger@darenc.com.